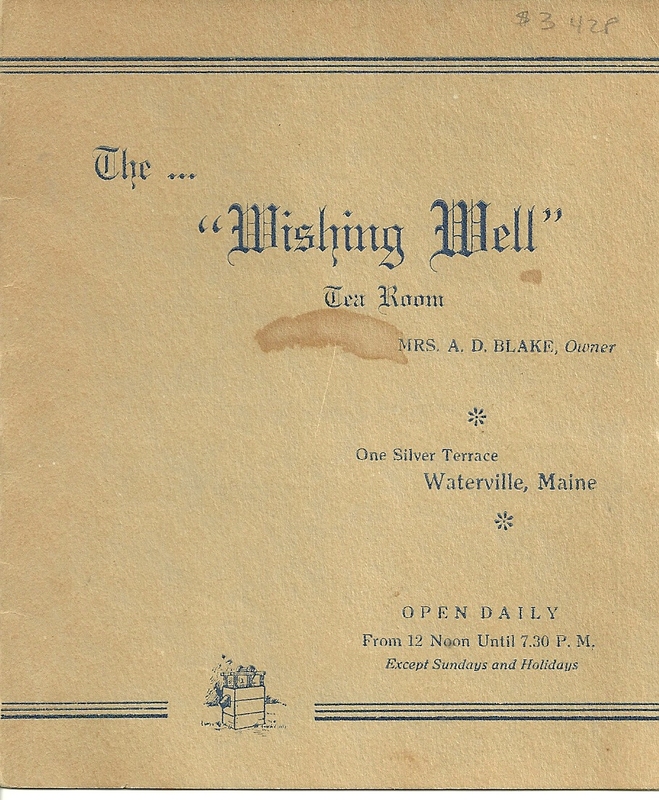 Vintage menu from the Wishing Well Tea Room, One Silver Terrace, Waterville, Maine, operated by Mrs. A. D. Blake. 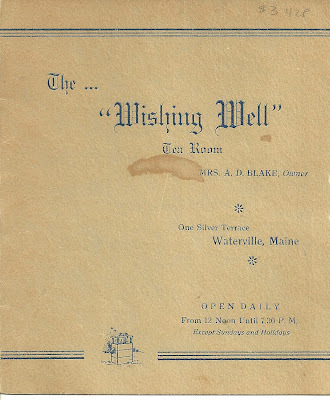 There's an illustration of a Cape style house on the inside, but I don't know if the illustration is of the actual house containing the Wishing Well Tea Room, or just a decoration. My Husband and I own the house on 1 Silver Terrace. 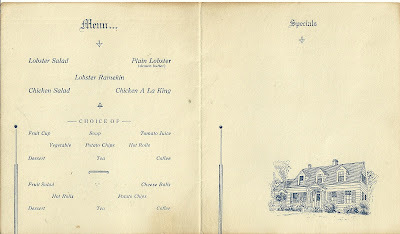 The illustration of the house is the same as it looks like today! 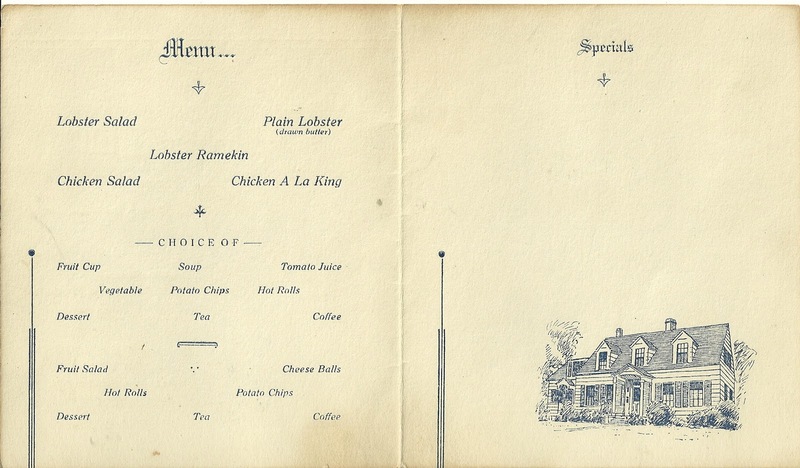 That's neat! Thanks for taking the time to let me know.